Both gold and silver rose in the bullion market here Tuesday on buying by stockists and jewellery makers for the coming festive season amid a firm global trend.The Demand for the precious metals was increased as the festive seasons are fast approaching. On the one hand Gold increased by Rs. 220 and reached a level of Rs. 30,520 per 10 grams,on the other hand silver took a high jump and increased by Rs. 1000 to Rs. 54000 per kilogram on the increased offtake of industrial units and the jewellers. Silver coins were also in great demand and climbed up by Rs. 1500 to Rs. 63,500 for buying and Rs. 64,500 for sellers of 100 pieces. According to the traders the Bullion market turned bullish today for the coming festive seasons and the marriage seasons. In the spot market, pure gold of 99.9 percent purity was Rs. 220 high to Rs. 30,520 and 99.5 percent pure gold was trading at Rs.30,320 per 10 grams. Gold and Silver were steady in the domestic market due to the weakness in the international market and low demand of the precious metal in the domestic market. MCX Gold was Rs 30,300 per ten gram in the domestic market and silver remained steady at 53,000 per kg. 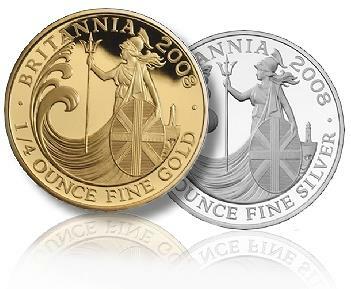 According to information received from the London International Gold slipped 0.3 percent to 1618.80 dollars per ounce. The Silver declined 0.4 per cent to $ 27.59 per ounce. The Central bank's meeting is to be held this week to discuss the euro loan. 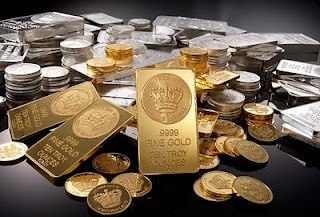 Here, due to the weak demand of bullion metals and the dullness in the international market, MCX Gold was ranging at Rs 30,300 per ten gram and silver was set at 53,000 per kg. Ginny stayed at a price of Rs 24,450. According to the traders the gold ranging above 30 thousand is one of the possible reasons for low demand of the yellow metal this year. As the jewellery demand was usually high during Raksha Bandhan. He said the demand for silver has also become dull, while during this festival its demand was enormous. Precious metals, gold and silver held steady today on account of restricted buying activity at prevailing higher levels. Gold closed flat at Rs. 30,300 per 10 grams, whereas Silver was at Rs. 53000 per kg on the decline in the in buying by the jewellers and the industrial units at the prevailing higher prices. 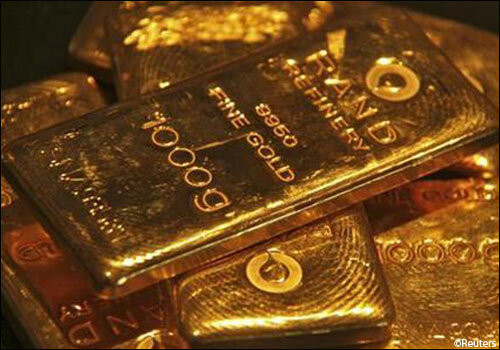 According to the traders, the prevailing higher prices and costly levels kept the bullion market steady today. In the NCDEX, gold of 99.9% purity and 99.5% purity remained firm at Rs. 30,300 and at Rs.30,100 per grams, respectively. Similarly, the white metal, silver was firm at Rs. 53,000 per kg. MCX Gold and MCX Silver in the domestic market is still in the early lead. With 0.5 per cent rise on MCX gold is trading at Rs 29 704. The MCX silver with 0.33 per cent increase has crossed Rs 53,000 level. Stand fast in the international market is also being seen in gold and silver. Spot gold rates rapid up in the major metros in India. In Mumbai market, Standard gold (995 purity) climbed up Rs 275 at Rs 30000 and pure gold (999 purity) had increased tremendously with Rs 380 and was at Rs 30130. In Delhi, market standard gold (995 purity) was too trading up by Rs 260 at Rs 29960 and pure gold (999 purity) had increased rapidly by Rs 660 at Rs 30160. the the festive seasons approaching, the demand of gold and increased intensely and so has the price of the yellow metal. But Spot Silver is not to be ignored. Silver has crossed the Rs. 53000. MCX crude oil is trading with weakness of the 0.20 per cent, while prices have come down to Rs 4,900. In the domestic market, base metals are trading low. Copper and zinc are traded with a slight rise in price, while nickel and lead are in decline. In the aluminum business is flat. On NCDEX Turmeric August, September and October have been looking forward to the 4 per cent upper circuit. The September futures cayenne pepper, coriander October futures rise 3.5 per cent have been recorded. 1-1.5 per cent in the wheat futures are trading with. MCX base metals are trading in mixed. Apart from Nickel all base metals are trading in red. Even though metal is trading in green but there is a very modest increase in the metal. But aluminum, copper, lead and zinc have depreciated from 0.15 to 0.3 per cent decline. MCX gold with a very marginal fall is trading at Rs. 29,430. Though the Spot gold prices were up in the major metro cities on Tuesday. In the pink city, Jaipur, the prices of pure gold (999 purity) was up Rs. 180 at Rs. 29855 and the Standard gold (995 purity) was Rs. 29830. Though the prices of gold increased tremendously in the north but in South, Chennai, gold was only up Rs. 40 at Rs. 29760 (995 purity) and Pure gold (999 purity) at Rs. 29880. But unlike the yellow metal, Silver fell 0.25 per cent today and was trading at Rs. 52,790. Spot silver prices were higher in the major cities. In north, Delhi, Pure Silver gained incredibly and was up Rs. 250 at Rs. 52550. In Ahmedabad too Silver was in great demand and climbed up Rs. 160 and was trading at Rs. 52300. A divergent trend was seen in the precious metal today. Gold rose for the second straight day to Rs. 100 to Rs. 29,800 per 10 grams. The traders say the rise in the demand for the yellow metal was due to the festive season. GoldPetal prices on the MCX were also trading high today. GOLDPETAL July contract was trading at Rs. 2948 and wsa up 0.1% or Rs. 3. The GOLDPETAL July contract touched an intraday high of RS. 2952.00 and an intraday low of Rs.2945. Gold of 99.9 and 99.5 per cent purity rose further by Rs. 100 each to Rs. 29,800 and Rs. 29,600 per 10 gms. On the same platform Silver or the White metal was trading low today. Silver declined about Rs. 150 to Rs. 52,300 per kg. Tuesday turned out to be a positive day for the bullion traders. After the three consecutive days of losses on the demand for the yellow metal, gold recovered on Tuesday with a high jump of Rs. 165 and was trading at Rs.29,770 per 10 grams. The white metal too climbed up by Rs. 100 to Rs. 52500 per kilogram. 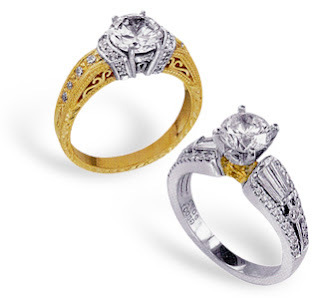 The demand increased for both the precious metal as the wedding season started approaching. As the festive season started approaching, it supported the demand for Gold and Silver among the buyers. The demand also rose after the precious metal rose in the International market. In London the Gold climbed around 0.3% an ounce and reached to $1594.30 and Silver was high 0.7% or was at a level of $ 27.51 an ounce. However in the domestic market, the gold recovered its last three consecutive losses of Rs. 115 and gained Rs. 165. Gold 99.9% purity was at Rs. 29,770 and Gold of 99.5% purity was at Rs. 29,570. The white metal rose to Rs. 100 to Rs. 52,500. The weekly based delivery of Silver metal was also trading up by Rs. 280 and was trading at Rs. 52,870 per kg. MCX Silver was trading in red today. Silver prices slipped Rs. 176 and were trading at Rs. 52,591 in futures due to the reduction of positions by the speculators. MCX Silver August contract fell Rs. 126 and was trading at Rs. 52674. The SILVERM August contract touched an intraday high of Rs. 52755 and an intraday low of Rs. 52460. Silver September contract fell around 0.33 percent and was trading at Rs. 52591 per kg. Sell Silver on higher level. Silver first support level is 52000, and Resistance is 54200, Second support level is 50800 and resistance is 55000. Sell Gold on higher level. Gold first support level is 29000, resistance is 29500. Second support level is 28800 and resistance is 29800. 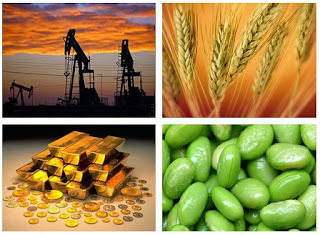 The MCX Commodity opened on a positive note on Friday. It was higher by 0.01% at 3668.52. MCX Metal was down by 1.77 points and opened at 4874.71. MCX Gold was trading marginally higher, MCX August Contract rose by Rs. 49.00 and was trading at Rs. 29271 at 11:27. The Intraday high Gold price reached Rs. 29279 and intraday low was at Rs. 29213. MCX October contract was also climbed up. It was up by Rs. 46 and was trading at Rs. 29616. The intraday high was at Rs. 29621 and intrday low of Rs. 29555. Indian Gold demand have become moderate and is expected to remain weak due to unseasonal note. The demand is expected to rise near the festival season. Rs. 59 and was trading at Rs.53096. The Intraday high rates reached to Rs. 53095 and Intraday low were at Rs. 52878. MCX Silver December contract was too trading up Rs. 56. The Silver rate touched intradya high of Rs. 54779 nad /intraday low of Rs. 54569. 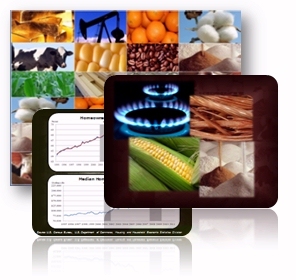 MCX Natural gas today declined nearly 1 per cent. However, in NYMEX, natural gas are doing business with rise in 1.5 per cent. Demand for the natural gas in the coming time is expected to grow in China. Prices for crude oil in the domestic market have fallen by 1 per cent and are currently trading at Rs. 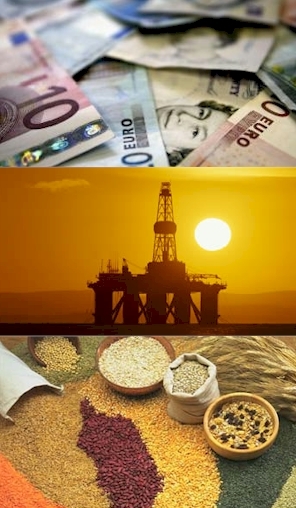 4712.Although international crude oil prices rose 1 percent at 84 dollars a barrel. MCX gold has slipped half per cent, the price is at Rs 29 286. MCX Silver is trading at Rs 52,635 in a narrow range. There is a weakness in the international market in gold, while silver is trading with strength. Weakness in base metals continues. Aluminum, copper, lead and zinc are trading in the red mark. Nickel is doing a slow business. Wheat is trading with gain compared to the last weak trading. July wheat futures on NCDEX is trading with a gain of 1.5 percent. 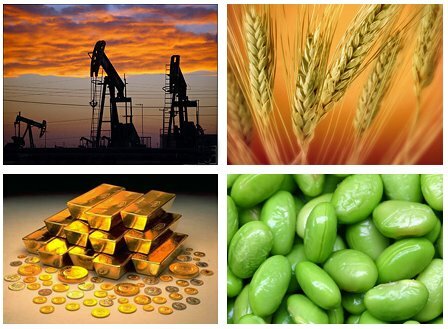 The August futures prices have risen up to 1,300 per quintal. The Union Agriculture Minister Sharad Pawar has said that despite a decrease in monsoon Ajanon exports will continue. International wheat prices have gone up in the market. Worldwide Gold - Silver prices have been trading in a very narrow range. MCX gold has slipped 0.30 per cent and is trading at Rs 29 574, while silver has declined more than half per cent. Gold ETF holdings of the domestic market have come down substantially, in June, investors withdrew a record Rs 230 crore declining the price of Gold ETFs around 2.5 per cent. Crude oil has declined drastically today in domestic market for more than 1 per cent in the crude oil prices. Crude oil prices have slipped from Rs 4,800 to Rs 4,750 while the in the international market the prices have broken down 1-2 per cent. The strike ended in the Norwegian oil companies and have resulted in the decline in price of crude oil the most. The trade data released being today in China is will also impact in the price of Crude oil. MCX base metals are also in pressure situations. Metals in the domestic market is trading with a red mark. Aluminum, copper, nickel and lead have been fallen up to 0.30 per cent. Even on LME, copper is trading in red. Turmeric August futures hit upper circuit in NCDEX and have risen beyond the price of Rs 4,800.In past one month, a rise of 35 per cent in the price of turmeric have been recorded. In account of delayed monsoon, price of Soyabean continued uptrend.. However, domestic soybean planting has begun and the monsoon has reached almost all over the country. Today the movement in Gold was very slow.Both in International and domestic market, gold is trading in a small range. Rupee has weakened nearly 1 per cent against the dollar. Even after this Gold in the domestic market has not been strong. Silver is trading with an increase. MCX silver climbed up 0.3 per cent and reached a level of Rs 53,300. In COMEX Silver rose about 1.5 per cent. All base metals except nickel are accelerating.. Lead, zinc and aluminum are 1 percent up. Copper boost up a little. Agri commodities: turmeric is 4 per cent upper circuit. Since Friday last week the Special Cash margin of 20 per cent was in the turmeric. Despite this there is continued volatility in turmeric. But compared to the spot futures prices are down considerably. In Case of spices there is a continue increase in the cumin spices. Cumin is about 3 per cent. Also, stand fast in soybean. Pressure on crude oil prices is starting to become again. European Central Bank's move has disappointed the market, which has been selling crude oil while in NYMEX 1.75 per cent on crude oil has come down to $ 86. Gold and silver move in the domestic market decline has overshadowed the international market. Nearly 0.5 per cent to Rs 29 600 on MCX gold and silver is down 0.5 per cent to Rs 53 500. COMEX the gold and silver, 1 per cent 1 per cent to $ 1592 are trading close to $ 27. According to the state of the bullion traders in Jaipur Rs 150 per ten gram gold standard is the speed. Silver 999 silver rate today was Rs 53,000 per kg. 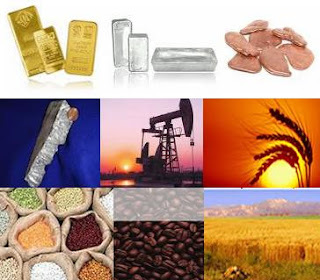 Decline in base metals except zinc. Nickel, aluminum, lead and copper from 0.4 to 0.2 per cent are poor. Agri commodities sharp decline in mint oil. On MCX mentha oil prices have slipped below Rs 1200. Mentha oil weakness in spot markets. Rupee opened with a steady fall in price against US dollar on Thursday extending a descend from the last session. This decline in price of the rupee was due to the fall in euro ahead of Eurpean Central bank's policy meeting and the weakness in the Asian Market. Rupee climbed upto 55 mark again today. This rise in price of the rupee was due to the increase in demand of dollar from banks and importers. 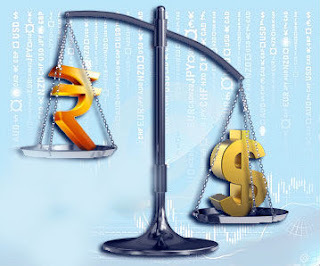 Rupee opened at 54.80 and in the early hour of the market session reached a level of 55.06. This movement in the Rupee affected the prices of Gold too both in the domestic market and the International market. The demand of Gold remained low in the domestic market due to the rise in the Rupee against the greenback. The MCX Gold August contract was up by 0.55% at Rs.29,734 for 10 grams. There is not much movement in the gold today as the increase in the Rupee has left the investors with not much choice. Though in the spot market Gold is trading higher in most of the major cities. The highest change in the price was in Ahemdabad, Pure Gold was at Rs.250 gain, Delhi being the least change of Rs.75 high for Pure gold. In comparision to Dollar Rupee seems to have a great fluctuation. This had a direct effect on the prices of Gold. Gold Mini prices on MCX were trading higher today. Snapping inthe losses the Gold showed an uptrend in the MCX index by 3% and reached a level of 29500 in the opening session of the market today. Though Gold ETF holding reached to a level of 2412 ton showing a gain but the trading in gold in the international market is a bit slow. The Gold Futures August contract at MCX were trading up by 0.23 per cent gain at Rs. 29,540 per 10 grams. The contract touched the intraday high at Rs. 29,565 today. Inspite of the decline in the international market, Silver was high in the domestic market. Silver opened in the MCX at 52500. Silver was trading higher in the major cities. Silver july contract was trading at Rs.52602.00 or 0.17%. The silver rate touched an intraday high of Rs 52636.00 and Intraday low of Rs.52451. The TDS, a global wholesale banking says that Silver is likely to surpass gold in the forth quater. 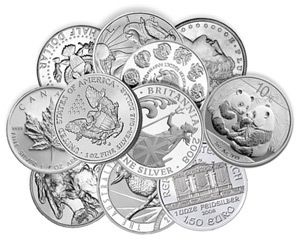 The Domestic market opened with a slightly increase in the white metal, i.e., Silver. opened with 0.20% increase at Rs.52,233 though gold declined by at 00.20% with the price of Rs.29,610. Crude oil showed a great start in the MCX with 0.75% increase and at Rs.4670 in the domestic market. In MCX Market gold was trading lower today. The gold rate touched an intraday high of Rs. 29637.00 and Intraday low of Rs. 29530.00. Gold was trading lower in the MCX market. India's gold import may double itself in the second half of this year. The hike in the prices of gold is due to the fall in the rupee currecy, the prices cold have reached toa level of Rs. 30,000 but the dollar denominated the price of gold leading to Indian investors prudent. Silver prices were trading higher in the major cities today. With highest in Ahemdabad, where it was up by Rs.400 and lowest in Delhi by Rs. 175. Experts suggests to invest in silver rather than Gold. Silver is comparitively cheaper in price and the use of silver is extended to industries as well rather than just jewellary. So the market sems to be more bullish for silver. Despite a decline seen in Comex Gold Silver prices, precious metals started the trade with positive note in Indian commodity market. However the yellow metal started flat and currently trading near 29685 level while silver is moving relatively faster. MCX Silver is trading near 52120 level up 0.25%. The trend is still seeking for direction and traders are waiting for some trigger price to confirm the trend. Technically, Gold may surge above 29750 level and silver can take a leap above 52350 level.